Bill Schnoebelen was both a high level occultist and a Mormon elder. He was a faithful member of the Church for five years and went to the Temple many times. He also was an Elders’ Quorum President. In that capacity, he had a chance to see the Luciferian underbelly of the Mormon temple rites and also how the LDS Church so often fails its members on a social and moral level. 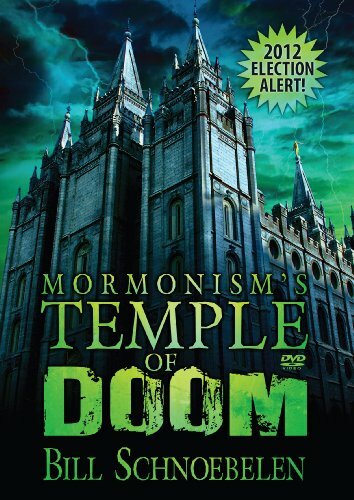 This DVD exposes the un-Biblical nature of Mormon Theology and why it remains a cult. He also shows how the history of the Church and of its founder, Joseph Smith, have been tampered with and lied about to a high degree. He further shows how the Book of Mormon is a pretty shaky foundation upon which to build one’s eternal faith. Bill also takes you through the highly secret Temple rites which only a few faithful Mormons ever get to experience. He demonstrates how the rituals of the temple—and even the temple architecture—are deeply rooted in Freemasonry, witchcraft and occultism. Finally, and perhaps most importantly, Bill exposes the LDS Church’s political ambitions and their strange theology about the U.S. Constitution. You will learn about their beliefs concerning the future of America and how they hope to rule over all of us in a religious dictatorship. You will also discover the astounding secret of the Washington, D.C. Temple.